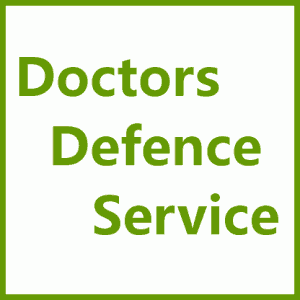 GMC Warnings | Doctors Defence Service – UK. The GMC may impose a Warning on a registered doctor in prescribed circumstances. A warning will sit on a doctor’s registration for a period of two years (previously five years) and be visible to those who check the doctor’s registration status. After that time, the warning will no longer be visible. However, the GMC keeps a permanent record and will disclose the warning history to any employer who formally requests the doctor’s full history. The history of warnings may also be referred to in fitness to practise proceedings. A warning is a less formal ‘sanction’ than those that can be imposed at a fitness to practise hearing but all the same it can have a significant impact on a doctor’s reputation. Most doctors believe that a warning has a stigmatising affect which will compromise their reputation or limit their chances or promotion. Understandably, the majority of doctors wish to avoid the imposition of a warning, if at all possible. Doctors Defence Service can advise doctors about how they might persuade the GMC not to impose a warning in the doctor’s case. Which Panels Can Impose a Warning? The Case Examiners and in some instances an Investigating Committee (at the Investigative Stage) and the Fitness to Practise panel (at the FTP Stage) may issue a Warning to a doctor where the conduct of the doctor (being scrutinised by the GMC) has fallen just short of a finding of impaired fitness to practise, generally speaking. Where a doctor considers that their case does not warrant a Warning they can make oral submissions and present evidence and make legal argument. The GMC has produced a checklist of criteria against which the doctor’s interests and the interests of public policy are assessed and balanced by panels who are considering whether to impose a warning. [View the GMC Warning Guidance (External Link).] Each case will of course turn on its own facts. See also our article: How to Avoid a GMC Warning. The Investigating Committee’s decision appears to be available online for a period of 12 months. The warning itself will be published on the GMC website for a period of two years (previously five years), after which it will be taken down. The history will still, thereafter, be kept on record available to employers, on request. The GMC publishes decisions of the Investigating Committee, where a warning has been imposed. The minutes of the meeting disclose why the committee felt it appropriate to impose a warning. The minutes are useful as a guide. The GMC page can be located here: Warning Decisions of the GMC Investigating Committee.